← Imagine world was apples, staff training is the mother of customer service! Building disputes, building reports, defects in new homes, what you should know. Many people will choose to go to Consume Affairs (because it’s free) with their complaint and whilst the service is competent ( I have no beef with Consumer Affairs) and in many cases can help settle disputes it is limited and has no power of enforcement. Many builders know this and will simply ignore the process or will play along and then ignore. The signals I get from my customers are mixed. Sometimes they think it was useful and sometimes that it’s a waste of time. Building Commission should be upholding standards, do you think it does that? In my book any organisation that produces a document called “The Guide to Standards and Tolerances” and then ignores it has no credibility and is well past its use by date and should be discarded. So if you are a consumer and you have paid hundreds of thousands of dollars for your new home and the brickwork is outside tolerances and looks like crap, Building Commission is saying to you: Let it go. Building Commission Inspector will only look at the items on your list, that means other defects (how will you know) are ignored. Building Commission inspector will not review your drawings, contract and specification, so defects will be either missed or misdiagnosed. Building Commission Inspector will not give you any advice in relation to your contract, variations, extensions of time, adjustments or any other matter. Building Commission Inspector will not appear at VCAT hearing as expert witness, so if the other side has their experts, you will be outgunned because you will have no one to contest their evidence. What’s the moral of this blog? If you can get your report for free it’s probably not worth having and may actually be harmful to your complaint. A bad report will give builder somewhere to hide. Think about it. 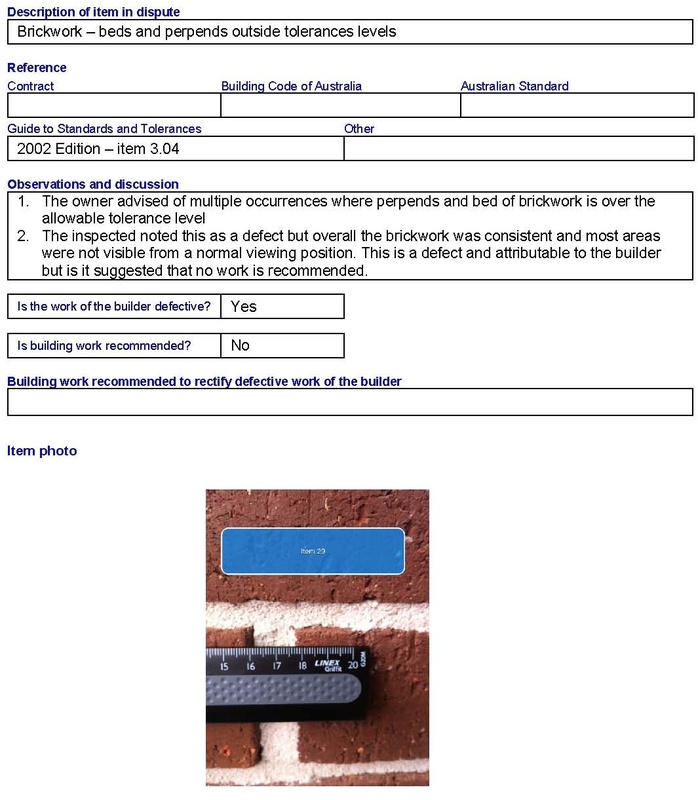 This entry was posted in Building Advice, Building Reports, New Home Inspections and tagged building commission, building defects, building dispute, building report, cost of rectification. Bookmark the permalink.